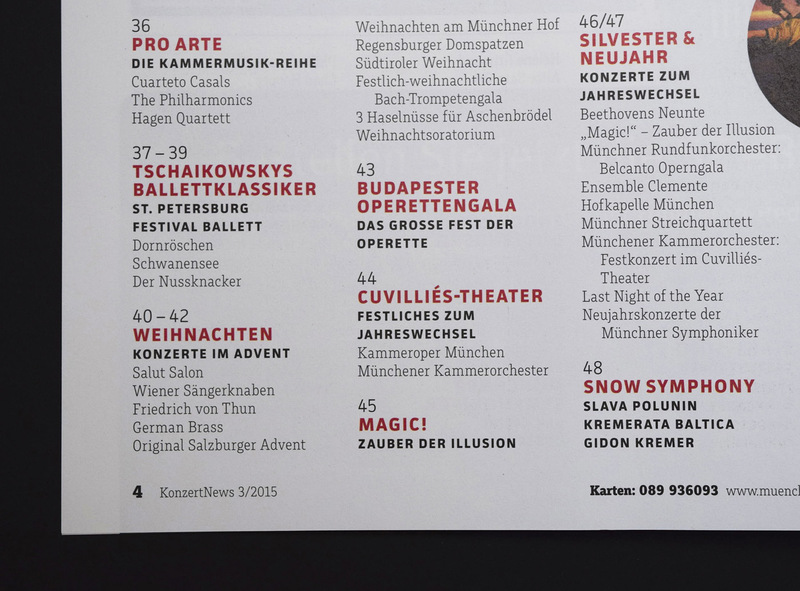 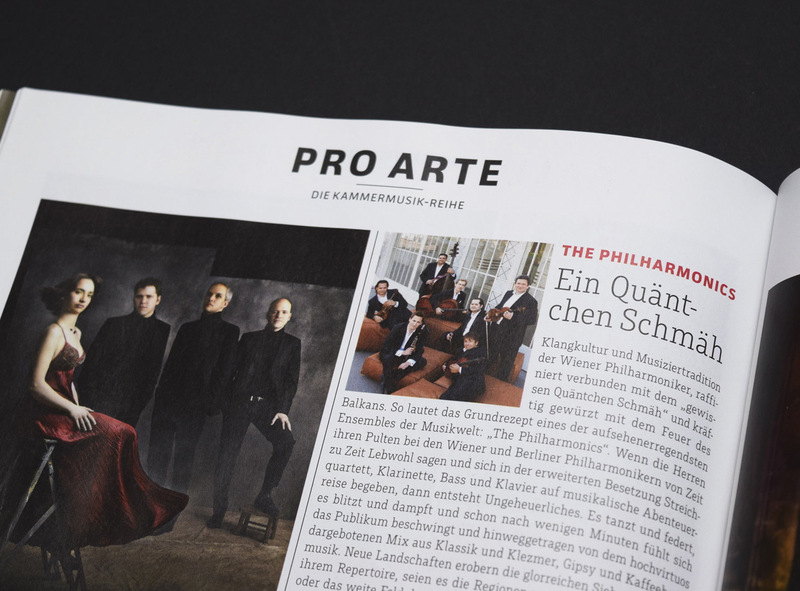 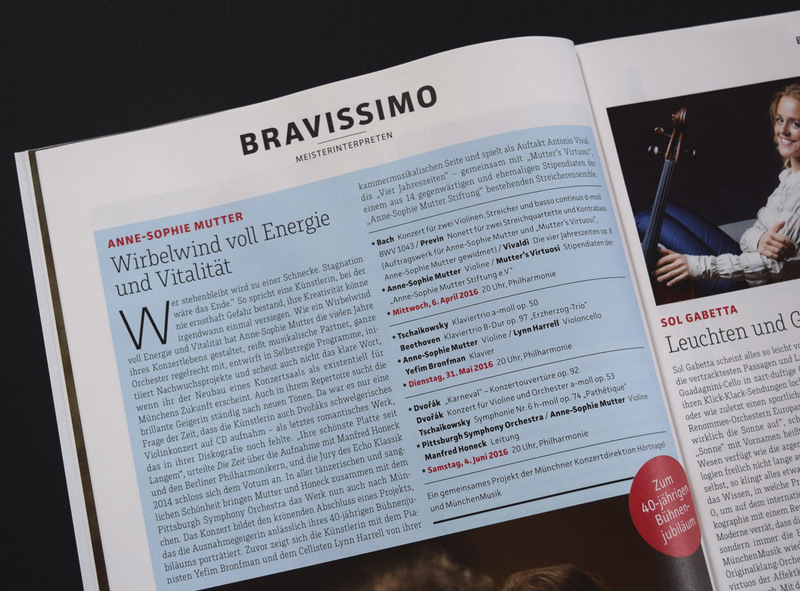 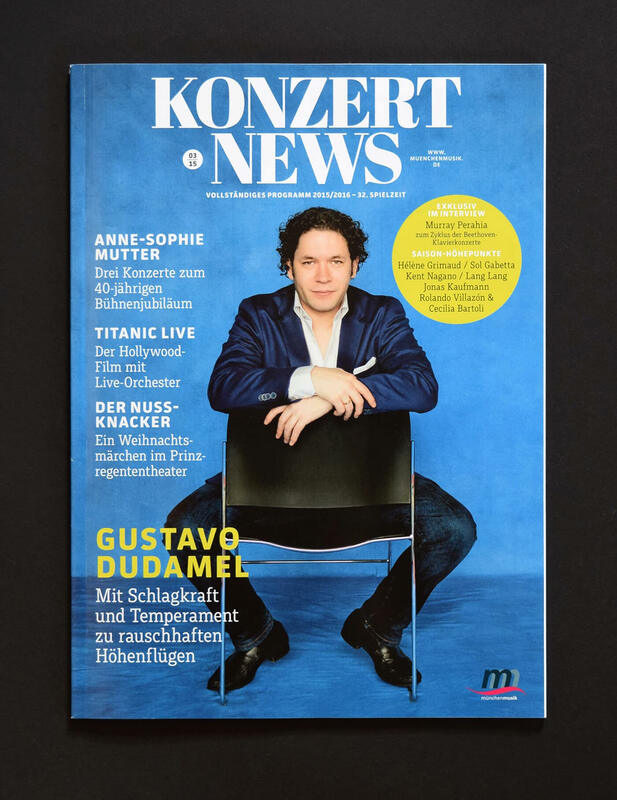 A quarterly journal by Munich’s largest classical music organiser. 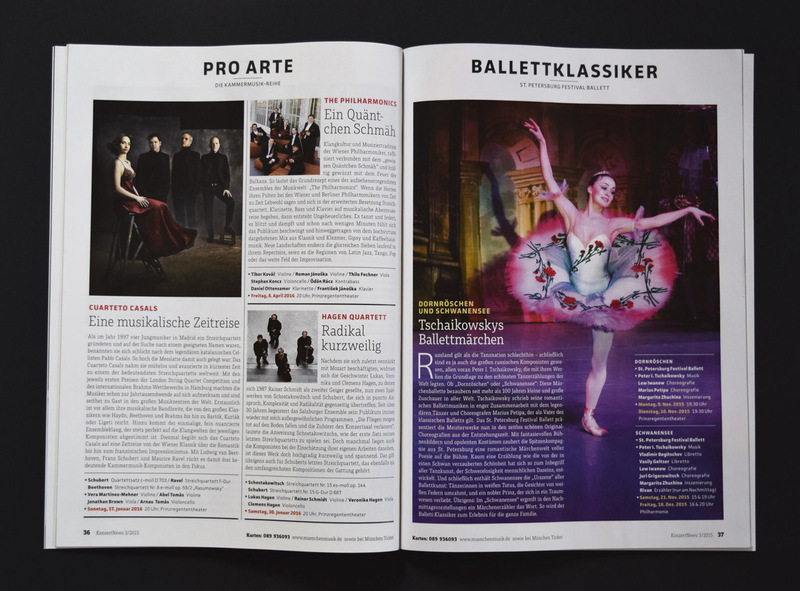 JAF Facit and Muriza, both with economical proportions, are combined toset the information-packed pages – while Muriza is mainly used for headings and body texts, Facit is used on the navigational elements of the page and concert information such as listings. 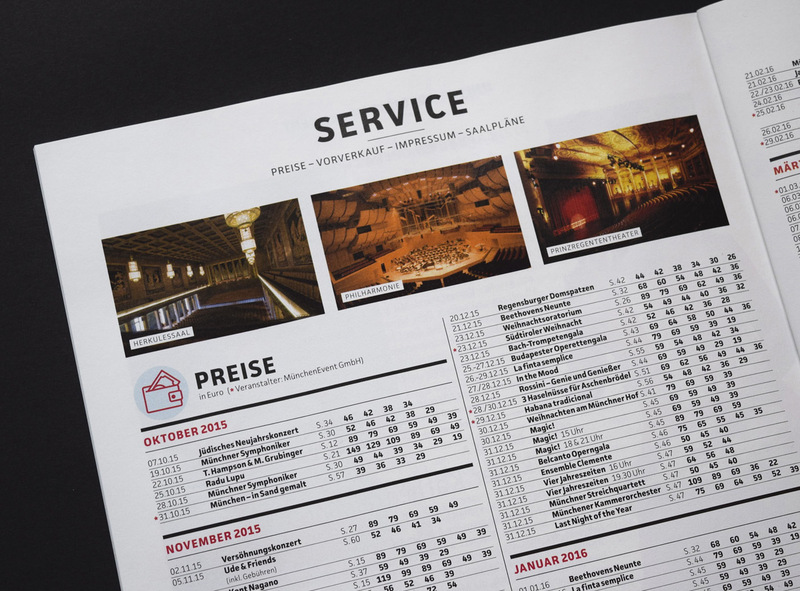 Images with kind permission by Just Another Foundry.